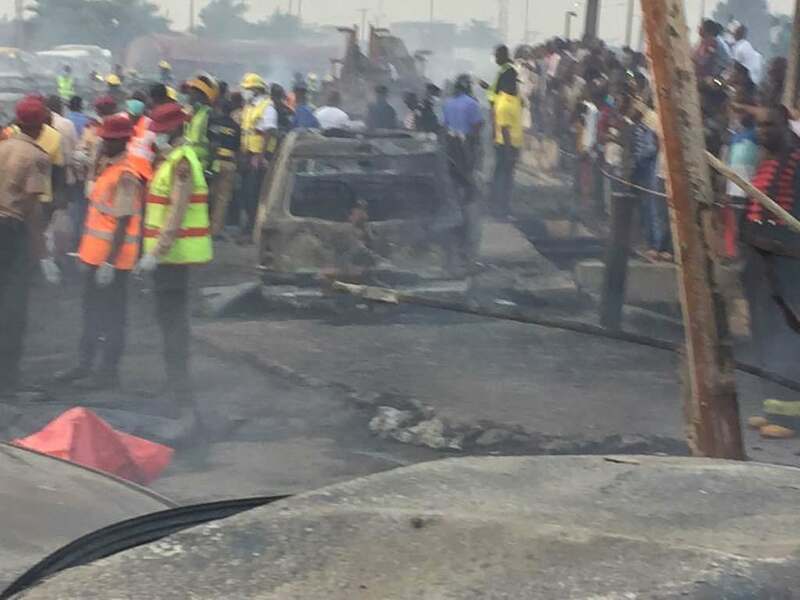 Some other persons have been reported to have perished in a Lagos accident less than 24 hours after a horrific tanker explosion left many dead. It has been reported that just barely 24 hours after a tanker explosion on the Otedola Bridge of the Lagos-Ibadan expressway, another accident on the bridge has claimed at least two lives. The incident occurred Friday morning after a commercial bus (popularly known as Danfo) in an attempt to evade officials of the Lagos State traffic agency rammed into Hummer bus. Rotimi Adebeshin, who witnessed the accident, said the commercial bus was plying one way due to a traffic congestion occasioned by Thursday evening’s inferno. At least, nine people died and 54 vehicles were burnt after a tanker went up in flames on the bridge on Thursday. Passersby and traffic officials as well as emergency responders collaborated to evacuate passengers in the two buses, which were nearly filled to capacity, to emergency centres. According to Premium Times, it was observed that at least 20 people injured in the accident.